Darren Moore takes his Albion side to Teesside on Friday evening for an early top-of-the table clash against the team managed by former Baggies’ boss, Tony Pulis, in what is Albion’s second televised fixture of the season. 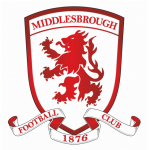 Middlesbrough have put last season’s play-off disappointment behind them and started the new campaign in good form having won three and drawn one of their opening four league fixtures, although they needed penalties to dispose of League Two strugglers, Notts County, in the Carabao Cup. After drawing way to Millwall on the opening day, Boro beat Sheffield United and Birmingham City at the Riverside before beating Bristol City at Ashton Gate last weekend and sat top of the Championship table after last weekend although they have slipped down to second as teams played their games in hand during midweek. A draw for Boro would be enough for them to reclaim top spot, at least briefly, and an away win would see Albion move to the top of the table until Saturday evening at least. It was a relatively quiet summer for Middlesbrough in terms of incomings with the only signing of note being central defender, Aden Flint, from Bristol City, a long time Pulis target as Albion fans will know. The Welshman did recoup significant funds, however, with the sames of Patrick Bamford to Leeds United, Ben Gibson to Burnley and Adama Traoré to Wolves bringing in some £43m in transfer fees with Fábio moving to Nantes and Callum Cooke to Peterborough for undisclosed fees. On paper, it leaves Boro somewhat weakened from the squad that lost to Aston Villa in the play-off semi-finals in May, but with Britt Assombalonga and Martin Braithwaite they have a forward pair that are certainly on form with a combined five league goals this season. Albion fans will know what to expect on Friday evening from a Tony Pulis team. I was surprised to find that Boro had scored as many as 67 goals last season in finishing 5th, although that compares to the 80+ goals that the Baggies scored in each of their last three seasons in the second tier, and players responsible for more than a quarter of those goals, notably Bamford who scored 11 in the league, are no longer at the Riverside. Darren Moore’s team will obviously go into the match in buoyant mood after the 7-1 thumping of QPR last weekend. While the result was fantastic, it shouldn’t mask that the team is still a work in progress and while Albion played well, there aren’t many teams who will capitulate in the manner that Steve McLaren’s team did on Saturday. The fact that Rangers went on to lose 3-0 at home to Bristol City on Tuesday night, a team that hadn’t won away from home in 2018, only serves to highlight what sort of state that club are in. So I don’t expect the Baggies to suddenly start winning comfortably every week, but the real positive along with the result from last weekend was the change in formation that provided a little more support for Brunt and Livermore in midfield, and also gave Harvey Barnes a free role behind the front two in which he thrived. Furthermore, Kieran Gibbs responded to Connor Townsend’s strong performances in the second half at Norwich, and at home to Luton, with a much improved display undoubtedly helped with the freedom to attack that the wing back role provided. As to whether the 3-4-1-2 formation is here to stay, Big Dave is playing his cards close to his chest saying that he will adopt a horses-for-courses approach. 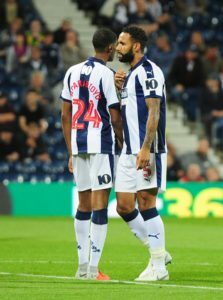 When the line-up was announced last week, there was some doubt as to whether Albion would start with a back three or four which highlights the fact that the team can switch formations easily without, necessarily, a change in personnel, although I personally can’t see when a middle two of Brunt and Livermore would be preferable to what we saw against Rangers. Adarabioyo can switch to right back if needs be, although he did look much more comfortable as one of a back three, although there is, of course, one player in the squad who can happily switch between those two positions. Much has been made of Craig Dawson’s expression in the official squad photo released this week, but to be fair to him, there are plenty of other players whose expressions are less than joyous, not least Oliver Burke next to him. We’ve all been in enough group photos at weddings, etc. to know that you will rarely get a take where everybody is smiling. So while I’m not going to read too much into Dawson’s expression, his continued absence from the squad raises concerns as to his current state of mind. That remains a concern in spite of the team’s performance on Saturday – we all know how long the Championship season is and Dawson will be needed at some point; I believe it is imperative to get him involved as soon as possible. 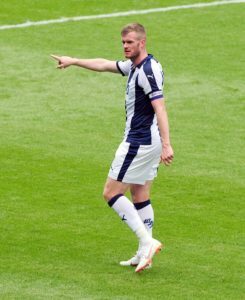 One other piece of news this week was the announcement from club captain, Chris Brunt, that he is retiring from international football. Whether or not you believe that players should be allowed to decide to make themselves unavailable in this way, it can only be a positive thing for West Bromwich Albion. I have already expressed concerns this season about Brunt’s ability to last a season in this league, and the rest he will get with each international break could be the difference in him being able to make a positive contribution right through to May. He has been a great servant to both club and country over the years, and it is fantastic for the Baggies that he has taken the decision to forego what would certainly be his final international qualification campaign for the Green and White Army in order to concentrate on what could be one final successful promotion campaign in the famous blue and white. Albion won’t find it easy to score against Tony Pulis’s team, but I think they’ll come away with something from the Riverside. A point would be a good result. Albion travel to the Riverside defending a five-game unbeaten run at the stadium. While the hosts won the first three meetings at their new home, the third of which was a 4-0 hammering in April 2005, Boro’s biggest ever win over Albion, that proved to be a blip in Albion’s Great Escape run in, since then the Baggies have drawn three and won two of their five games on Teesside, including a 5-0 win, not surprisingly the Baggies biggest ever win over Boro, in their last visit in the second tier in September 2009. Current Baggies captain, Chris Brunt, scored a brace that day while Youssuf Mulumbu, Roman Bednar and Jerome Thomas also found the net. The previous season, both sides were in the Premier League, but Albion were once again victorious over Gareth Southgate’s side with Jonas Olsson scoring the only goal of the game. Before that, however, we have to go back more than half a century for the Baggies’ previous win at Middlesbrough to February 1952 when George Lee scored the only goal of the game. In fact, in the 82 years before September 2009, Albion played 31 games on Teesside and managed just one win and eight draws. However, the early meetings between the sides didn’t point to such a long barren period for the Baggies in Middlesbrough. The sides first met in a third round FA Cup tie at Boro’s Linthorpe Road ground in March 1901 when Albion’s Fred Buck scored the only goal of the game. The first league meeting between the sides was later that year following the Baggies’ drop into the second division with the visitors coming out on top once again, this time 2-1. It would be another 11 years before Boro recorded their first win over Albion. But that time, they had moved to Ayresome Park and won promotion to the first division, and Sammy Cail grabbed the only goal of the game in April 1912.